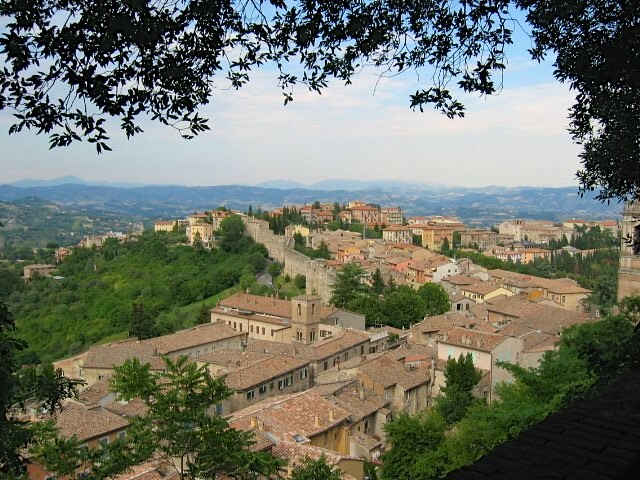 Perugia can be daunting at first glance, we admit. 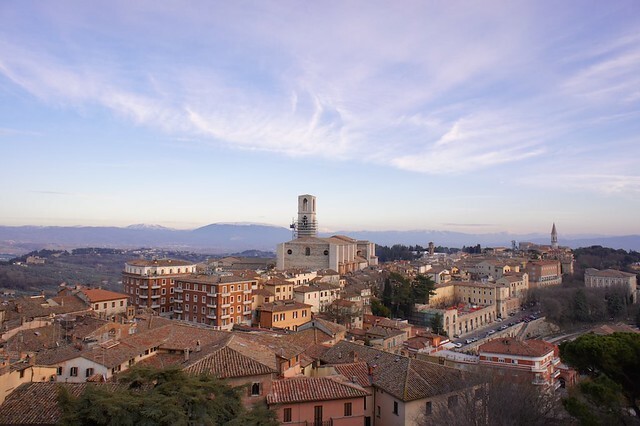 Though the lion’s share of Umbria’s hilltowns are perfectly preserved gems perched atop the region’s rolling peaks and largely devoid of modern development spoiling your Instagram shot, the bustling provincial capital is ringed with a rather drab stretch of suburbs which can be off-putting. But don’t be discouraged by the eyesore that greets you along the highway. Once you’ve passed the box stores and apartment blocks, Perugia reveals herself to be just as worth a visit as similarly sized provincial cities between Rome and Florence (we are thinking of perennial favorites Siena and Orvieto), with an elegant historic center, beautiful views, worthwhile museums, memorable restaurants, and excellent shopping. Perugia is a city which likes to see and be seen, and where all this people watching takes place is along Il Corso, or Corso Vannucci, the main (and, thankfully, pedestrian) street stretching about half a kilometer from the Giardini Carducci to Piazza 4 Novembre, site of the city’s iconic fountain, the Fontana Maggiore. 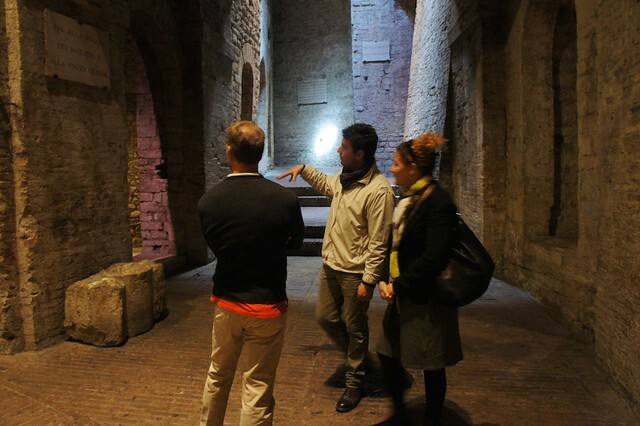 You can begin your visit by literally taking a stroll through the city’s history: from the Piazza Partigiani parking garage, follow the series of escalators as they take you up through the bowels of the Rocca Paolina, where the cityscape of Medieval Perugia lives on. Now used as a venue for craft markets and events, these narrow, brick-paved alleys were what Perugia looked like before the noble palaces and public parks were built centuries later directly above. When you come out onto the modern ground level, take a moment to enjoy the view behind you at the scenic overlook: on a clear day, you can see across the valley to Assisi. Afterwards, take your time to meander up the Corso, pausing to window shop, people watch, and cafe linger. After all, when in Perugia, do as the Perugini do. 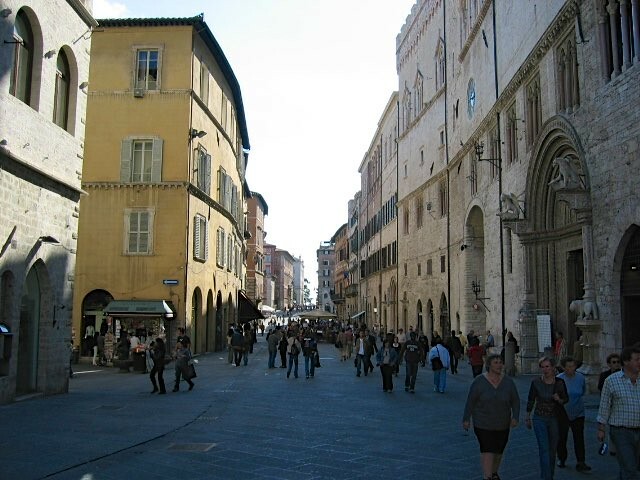 A number of Perugia’s most beautiful and visit-worthy sights are located in and around this sweeping piazza, which serves as the head to the Corso’s Giardini Carducci foot. First among these is the Fontana Maggiore, symbol of the city and one of the finest in Italy. Completed in the late 13th century in occasion of the first aqueduct built in the city since Roman times, this masterpiece is covered in dozens of reliefs and sculptures. The square is flanked on one side by the magnificent Palazzo dei Priori, with its richly decorated Sala dei Notari, and Collegio del Cambio and Collegio della Mercanzia Medieval guild houses open to visitors. Along the Corso side of the building is the entrance to Perugia’s small but excellent National Gallery, with works by Piero della Francesca, Pinturicchio, and Perugino. Opposite, the city’s unfinished cathedral, San Lorenzo, hosts a trickle of visitors but mostly crowds of students and tourists who lounge on the sun-kissed steps along the side of the church to socialize, bask, busk, and—of course—people watch. Once you’ve seen the majestic sights along the Corso, you can take a meander down the more informal Via dei Priori, lined with funky boutiques, organic shops, pizza by the slice, and snap-shot worthy side alleys. 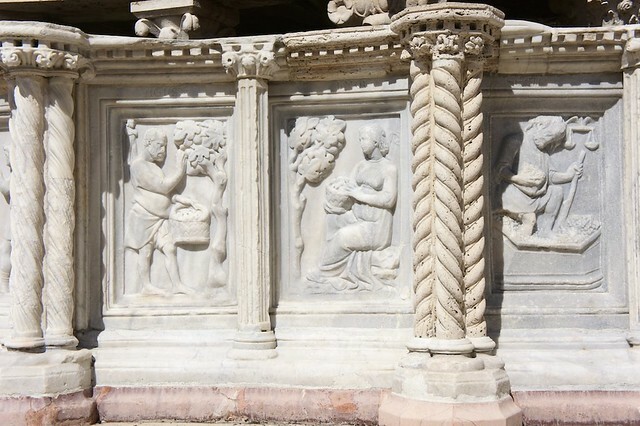 At the very end, take a look at the ornate facade of the Oratorio di San Bernardino, one of Umbria’s best (and few) examples of Renaissance art dating from the mid-1400s. 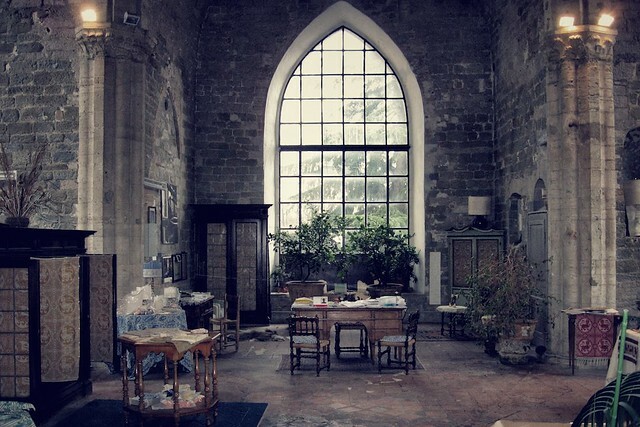 Right next door, the soaring San Francesco al Prato was once one of Perugia’s finest churches until a mudslide and looting reduced it to partial ruins. It has recently been restored and is now used as a breathtaking venue for concerts and events, and the facade has retained its original splendor. Perugia, like all of Umbria, is home to an incredible variety of artisan workshops and ateliers. One of our favorites is by far the Giuditta Brozzetti Textile Museum and Workshop. Here you can see the antique looms still being used to make Perugia’s traditional jacquard in silk, wool, and cotton in the lovely church of San Francesco delle Donne dating from 1212. After your visit, support this four generational atelier by purchasing a one-of-a-kind piece of hand-woven cloth to take home as a unique memento. When we visit Perugia, we always stop by Sartoria Lemmi to order a hand-tailored shirt or two. Here, you can choose a variety of cuts and fabrics to have a dress shirt (or, if you have the time and inclination, an entire suit) made to order. Italy is known for its impeccable tailoring, and Perugia, known for its elegance and style, has one of the best sartorie around. For a bespoke accessory that is truly unique, stop in at Ozona where Sandro Gonnella has been making a name for himself in the fashion world for his custom eyeglass and sunglass frames. His boutique on Via dei Priori is funky enough to be in Brooklyn, and his eye for design sophisticated enough to be in Milan. But he is in Perugia, and to order a pair of his unique frames you’ll need to visit him there. For the consummate Perugian experience, there is only one place to dine: Da Cesarino. Here just across the piazza from the Fontana Maggiore, the food is traditionally excellent, the service matter-of-factly excellent, and the atmosphere simply excellent. We especially love to eat here in the summer when there are outdoor tables set up in the piazza with a view of the fountain and the passersby, but the Umbrian comfort food served up hot and satisfying in the colder months is equally satisfying. For those who prefer an extensive wine list and more contemporary gourmet feel, the Osteria a Priori along Via dei Priori is an excellent wine bar/restaurant with simple dishes and the best wines in Umbria. The funkier feel (and couple of outdoor tables) blends well with the surrounding neighborhood, full of hip boutiques and cool cafés. 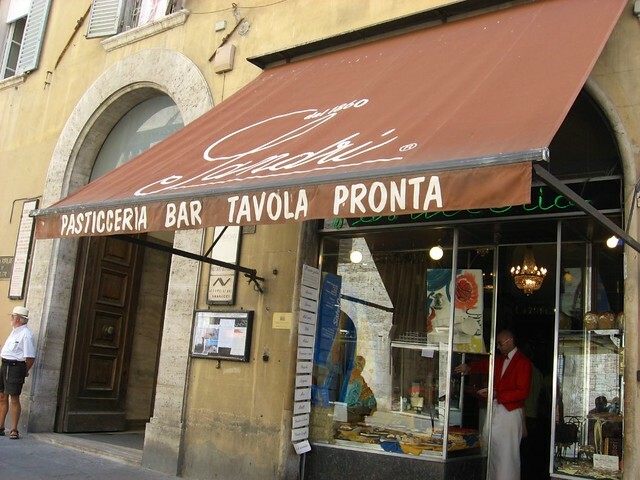 The entire city of Perugia went into collective mourning last year when this landmark pastry shop closed its doors after more than 150 years. Located along the Corso, it was a must-stop on any passeggiata for its gorgeous pastries and excellent espresso, or to simply admire its window display which features themed confections celebrating city events or holidays. After a few months, the shop reopened under new management, but the pastries, coffee, and window have continued on the grand tradition. 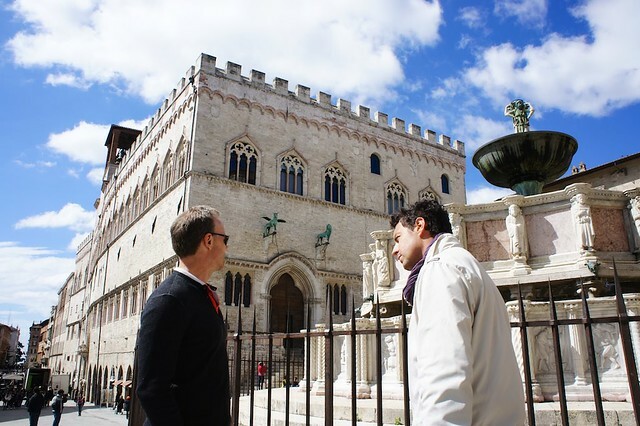 The best time to visit Perugia? 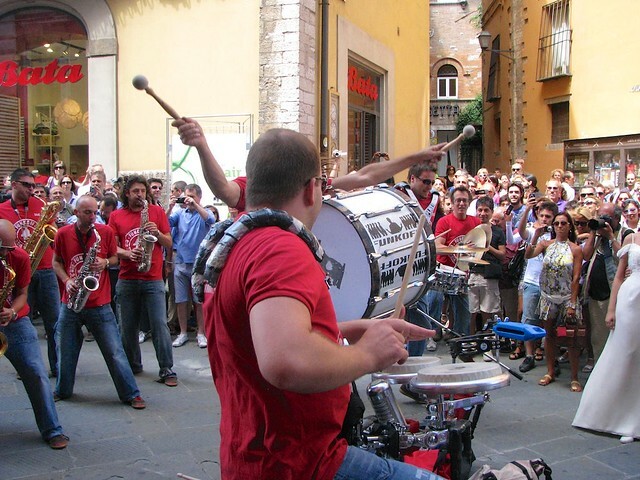 During the annual Umbria Jazz festival which takes the town by storm each July for two weeks. Big name concerts, street musicians, marching bands, and a general festive atmosphere make this a great time to stop by.